A few weeks ago I got the notice of the automobile insurance premiums for the next six month period. It was several hundred dollars higher than the then current premium. I thought the insurance company had forgotten my Costco discount and called them the next day. It wasn’t a mistake. They had “reviewed and reassessed” rates for Southern California and determined they were undercharging. They offered that if the 20-something son drove the old van it would remain the same. Umm, that wasn’t going to fly since he is making payments on a nice 2009 SUV. After only one year we were shopping for car insurance again. This is on top of the health insurance changes going on at work. My son recommended AIS (Auto Insurance Specialists) as many of his friends had gone through them. I compared their quotes to other online sites and found them competitive and able to show prices between various carriers. We ended up with Mercury and are paying less than we were previously after discount for moving our condo coverage over. Let’s hope we don’t have to do the same thing next year. Have you shopped for automobile insurance recently? What advice do you have on finding the best deal? My only advice would be to get a few quotes so you can see which is the best instead of just going with one. My insurance company only insures NJ residents so i can’t help you with a recommendation. Great advice. I’m happy with our carrier for now. Let’s hope I’m not shopping again next year. I recently switched insurance from esurance.com to USAA. I decided to switch after I received a promo offer from USAA claiming they could save me money. They were able to save me about $15 a month after everything was said and done. I really like USAA so I also preferred giving them my business instead of another unknown company. 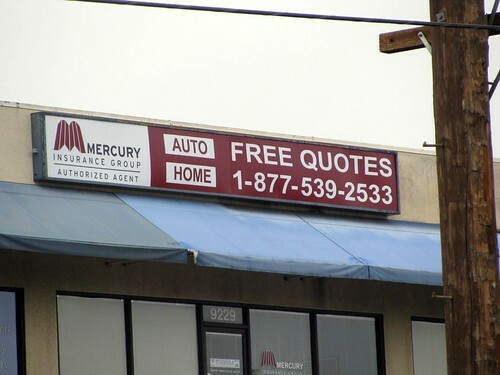 However, I’ve heard that Mercury is one of the best deals around for auto insurance. (I’m not sure how it would stack up against USAA, though). A lot of people have USAA in this military town but they weren’t the lowest this time. I hear good things about them. It’s always a good idea to check with your homeowners insurance provider if you have one, as you can often get discounts when you get multiple insurance plans from the same provider. Max, good point. I did just that this time. I have AAA and they keep sending an offer that if I get a quote from them they will give me a free $10 gas card, so that’s who I checked. We’re also up for renewal. The AAA quote was under our current quote. I’m going to check around a bit more before I make a decision. Definitely check around. At one time they were the cheapest for us, but not the last few years. Good idea to take advantage of offers like that! Ugh! Yes, I too just changed my Auto insurance carrier no tips in particular just be ready for a bit of extra stress in your life while shopping rates=( We did come out on top so I’m glad I did and saved a little $. I’m so enjoying this blog! Lethea, you’re right it is stressful! I had a deadline on top of everything else that goes on routinely at work and home. It is nice to end the process paying less overall. Note down all your circumstances and then research some insurers that are best suited to you, then get quotes from them all. Good advice. They do ask a lot of questions when getting insurance and it was easier because I had almost everything with me. I switched to AARP insurance once I became a member and my home and car insurance rates came down quite bit. Their customer service has been awesome so far. Ebonie, we are AARP members so I’ll check their rates once Iget the 24 y/o off our plan. It should be within 6 months. We Saved $318 on Auto Insurance!